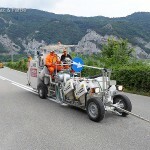 Aquamark 3A is an environmentally friendly waterborne paint based on last generation acrylic emulsions. 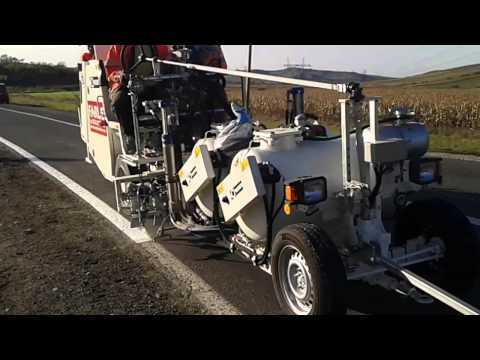 This easy to use paint is designed for application of road marking on asphalt surfaces. 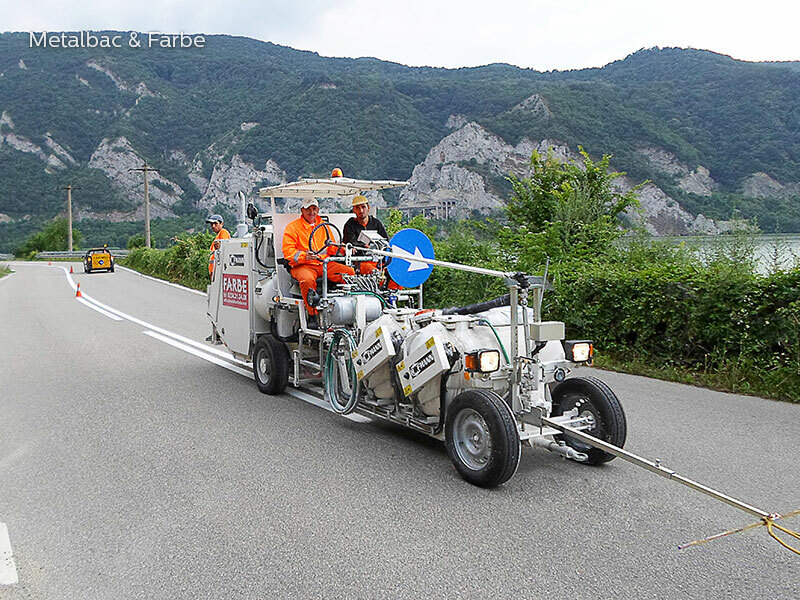 Aquamark 3A road marking paint is ideal for all types of roads, highways, airports, but also for horizontal road marking signs, pedestrian crossings, bicycle lanes etc. 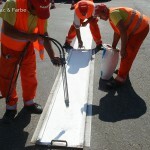 Aquamark 3A road marking paint is suitable for organizing parking spaces using parking lot stencils. 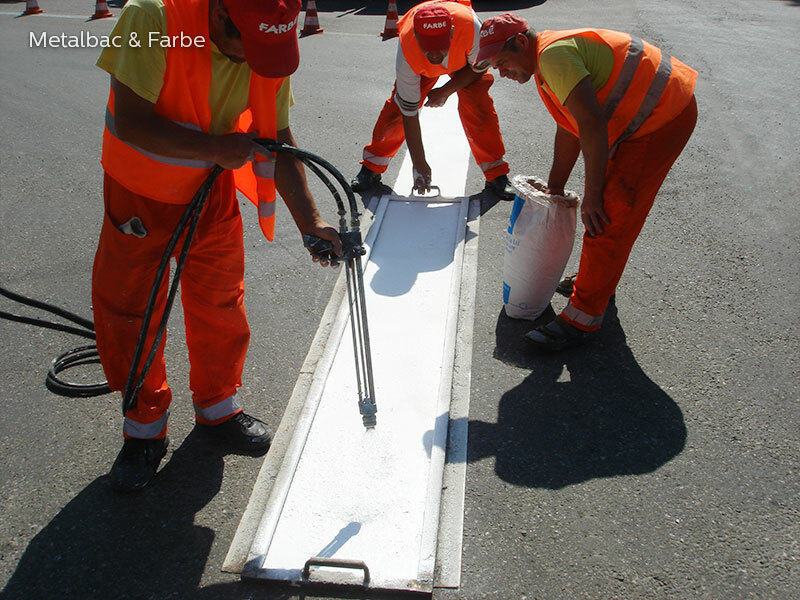 The water based acrylic paint Aquamark 3A can be used for application of road markings at a layer thickness between 300 and 600 µm. The following colors are available for the waterborne acrylic paint Aquamark 3A: white, yellow, black, red, green, blue or other colors on request. 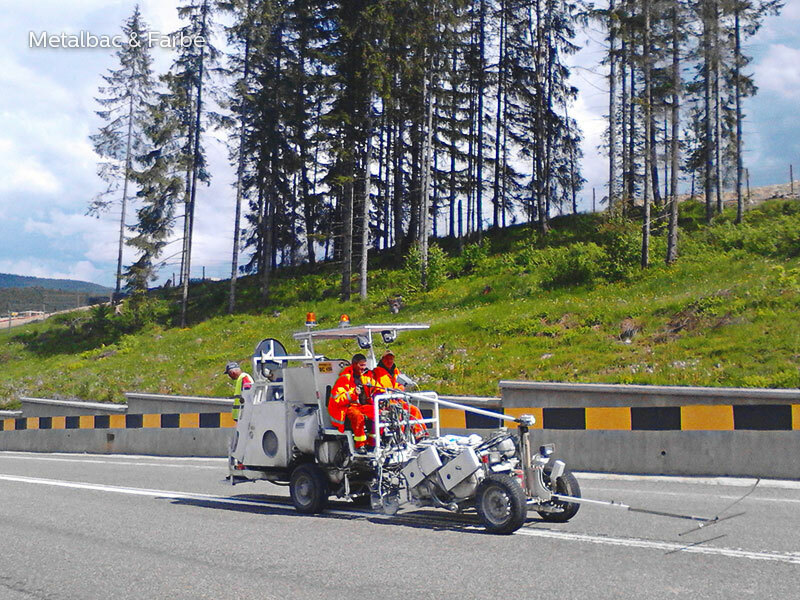 Products: Aquamark 3A road marking paint, reflective glass beads. 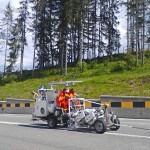 easy application – spray application and manually.